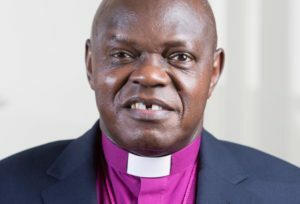 MANCHESTER, UNITED KINGDOM (ANS) — An exhibition in Manchester where churches will come together to try and find a way forward through the Brexit crisis, has been welcomed by the Archbishop of York, Dr John Sentamu. Often dubbed the ‘ideal church show’, the Christian Resources Exhibition (Event City, Manchester, 13/14 March 2019) is a unique showcase where innovative products and services for churches – from pulpits to puppets, sound systems to software – will be displayed by some 150 organisations. More than 30 seminars and presentations will cover areas like cyber security and safeguarding in church. One seminar, hosted by Andy Flannagan of Christians in Politics, will cover Brexit. Archbishop John, who is asking people to say a special prayer three times a day in light of the current political crisis, has welcomed the initiative at Event City. That they may walk humbly the path of kindness, justice and mercy. Give them wisdom, insight and a concern for the common good. The first exhibit seen by visitors will the Embassy Bus, providing emergency shelter and support to vulnerable adults in Greater Manchester. The Bishop of Bolton, Rev Mark Ashcroft, will speak on church growth in areas of deprivation. Manchester-based gospel collective Voices Beyond will perform, along with several artists handled by CRE North exhibitor Ministry of Music. Special features at Event City include CRE’s first-ever Study Zone where representatives from eight theological colleges will guide visitors through the academic maze, offering one-to-one consultations on all aspects of theological study. There’s a special focus on social engagement with Greater Manchester Street Pastors, a youth and children’s work trail – and entertainment in CRE’s first-ever Inflatable Theatre, hosted by the redoubtable Rev Cindy Kent MBE. CRE North 2019 at Event City, Manchester opening hours: Wed 13 Mar 10am-8pm and Thu 14 Mar, 10am-4pm. 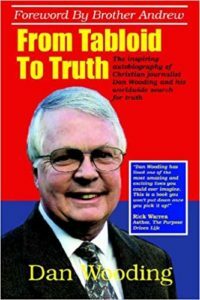 Visit www.creonline.co.uk for more information. Nigeria’s Boko Haram Islamists: Who are they?